We’d like to share with you a case study on how a MeetnGreeter Anna showed Minsk to our guests from the United States – Ted Zoller, Alex Sozonoff and Laura E. Owen, who came to Minsk to participate in the Global Entrepreneurship Week. Global Entrepreneurship Week is an international annual event which in Belarus is organized by Imaguru Startup Hub. This is one of the busiest weeks in November for Belarusian businesses. Belarus joined Global Entrepreneurship Week in 2011 and became one of 137 countries participating in the largest entrepreneurial initiative around the world. 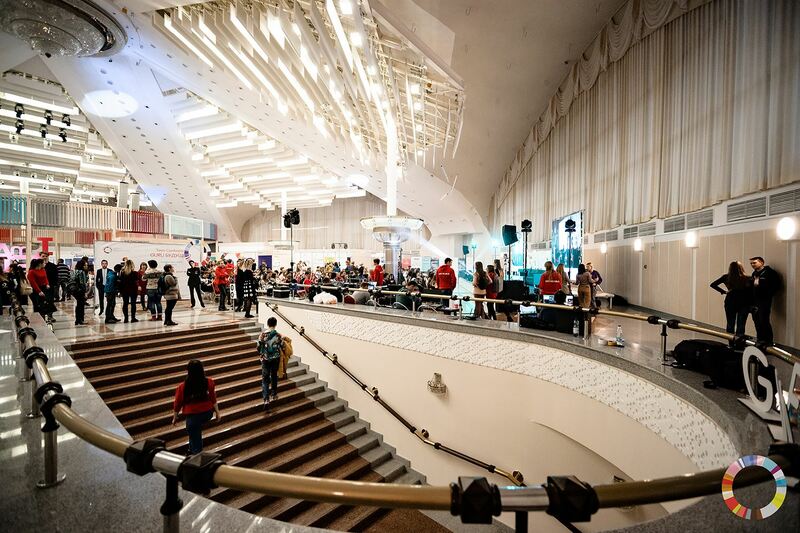 More than 2000 participants, job creators, and innovators from more than 20 countries attend this business event in Minsk, Belarus to launch startups, start international cooperations and plan new projects. Every year Imaguru Startup Hub welcomes foreign guests and international speakers. This year, among the keynote speakers, there were Ted Zoller, Alex Sozonoff and Laura E. Owen. Apart from their participation at the conference, they were really excited to learn more about Belarus in general and Minsk in particular, see the hidden spots of the city and explore Minsk from the locals’ point of view. As MeetnGreetMe is an active partner for Imaguru Startup Hub, we are always glad to help with any matters, so we found Anna – a resourceful MeetnGreeter with excellent feedback, and deep knowledge of Belarusian culture and the hidden gems of the city. Anna planned a personalized city tour for the American guests according to their interests. She met Ted, Alex, and Laura at the Imaguru Startup Hub and told them about the startup ecosystem in Belarus. Then they went to the center of the city to look the most interesting spots of the city: the gates of Minsk and one of the biggest clocks in Belarus. After that, they headed to Nezavisimosti Avenue – the 15 km main avenue of the city – to see one of the biggest squares in Europe – Independence Square, National Opera and Ballet Theatre, and such hidden spot as the apartment where Lee Harvey Oswald had lived. 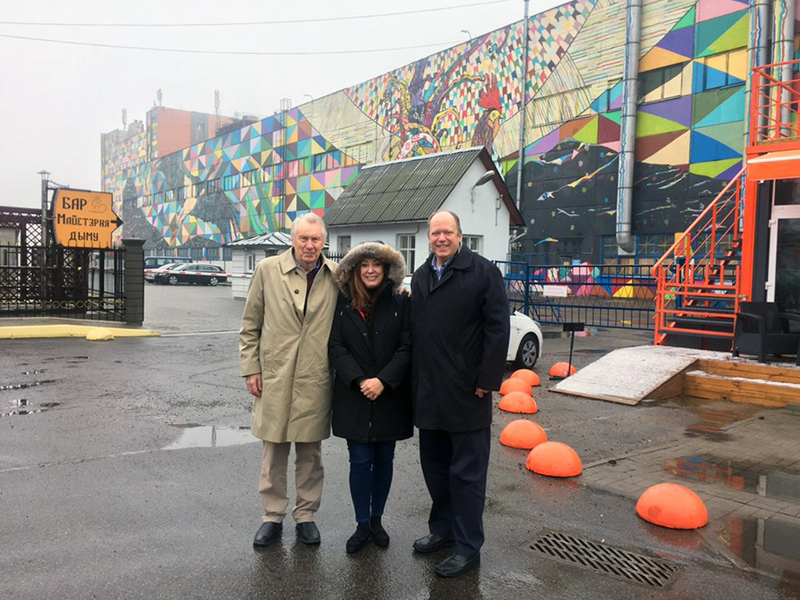 To show the American guests the young culture of Minsk, Anna suggested visiting the vibrant Oktyabrskaya street with the murals, street-art, and some hip venues. The guests were amazed by the diversity of the city, both its historic and modern parts. They had a really great time with Anna, asked many questions about the life of locals and were glad to learn more about Belarus, its people, and culture. Coming to Minsk individually or with a group? Hire MeetnGreetMe to make your travel to Minsk enjoyable and hassle-free.